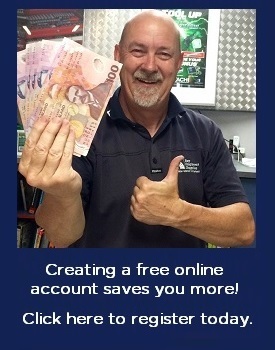 Specials - Login to see reduced pricing! Page Macrae Engineering (PME) in Mount Maunganui, New Zealand, were looking for ways to significantly improve their production efficiency and decrease downtime under the pressure of ever growing competition in the global and New Zealand markets. When Bay Engineers Supplies introduced 3M Cubitron II precision shaped grain abrasives, Mark Welten, Page Macrae's Operations Manager, decided to put them to the test. Page Macrae Engineering has built up a reputation as one of New Zealand's premium engineering companies. The PME team have extensive knowledge and experience having completed many complex engineering projects in industries such as power generation, petrochemical, pulp and paper, food processing and materials handling. The target application was to remove excess mild steel from a component that goes onto their machinery. It was taking the operator two hours and required five 180mm competitor grinding wheels to complete. The aim of the trial was to reduce the number of discs required to complete the process and the time it took. In addition the heavy 180mm grinder and the rigid grinding wheel was causing a lot of vibration which resulted in operator fatigue due to the energy required to maintain control of the tool. 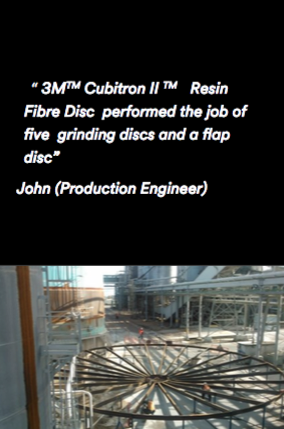 Using the 3M Cubitron II 982C 180mm 36+ Fibre Disc supported with a 3M High Pressure Back-Up Pad, for the same application, the operator was able to finish the same job within an hour using only one disc with life to spare. Result - Cut Faster, Last Longer and Leave a Better Finish! The tangible benefits of 3M Cubitron II were immediately apparent as PME could complete the job faster without having to change the disc. The longer disc life meant a reduction in operational and consumable costs.In addition the 3M Cubitron II offered less vibration making it much smoother to use which from an operator perspective reduced operator fatigue. With increasing awareness of workplace health and safety, being more efficient on a grinder can positively impact worker health. 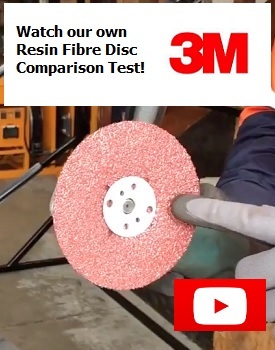 3M Cubitron II ceramic precision shaped grain sliced through the metal which meant the operator could complete the grinding process much faster than with conventional abrasives, increasing productivity at PME. 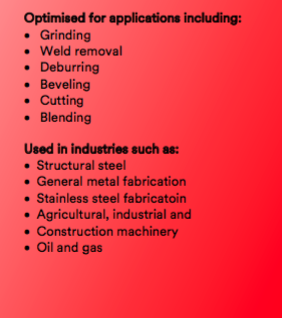 For speed, long life and ease of use, nothing comes close to the power of Cubitron II abrasives. 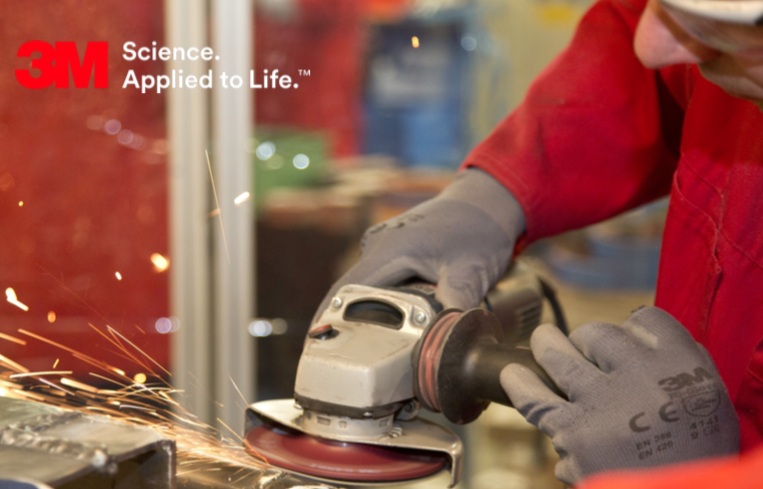 For grinding, weld blending, deburring and other tough metal finishing jobs, 3M Cubitron II Abrasives outperform other discs in their class – thanks to a breakthrough 3M technology that rewrites the rules for speed, consistency and abrasive life. The secret lies in the revolutionary precision-shaped ceramic grain technology pioneered by 3M. As the triangular shaped grain wears, it continuously fractures to form sharp points and edges that slice through metal, and provide a fast cut, long life and smooth-running feel. Click here to see our 3M Brands page.